Due diligence and project monitoring is also provided by MMP. The firm draws on its experience and comprehensive cost data base, to numerous financial institutions on construction related lending. In practice since 1951, Mulcahy McDonagh & Partners (MMP) is firmly established as one of the most significant construction consultancy practices in Ireland. With offices in Dublin and Sligo, the company has a tremendous breadth of experience and expertise in the areas of construction economics, cost management, dispute management, project management and health & safety. MMP has project managed many projects from inception to completion. The firm’s experience is broad-based and MMP adopt a pragmatic and pro-active approach focusing on client requirements and project outcomes. MMP also provides a dedicated Mechanical and Electrical Cost Management service, offering comprehensive advice on all aspects of mechanical and electrical services cost control. As buildings become more complex, sophisticated mechanical and electrical services now account for a much greater proportion of the value of the overall works. Accurate measurement and cost control is essential for a successful project. Due diligence and project monitoring is also provided by MMP. The firm draws on its experience and comprehensive cost data base, to numerous financial institutions on construction related lending. MMP also has particular expertise in Fit-Out projects and has been involved with many high profile developments in the financial, institutional, commercial and retail sectors including entire branch networks. MMP has also worked extensively on the fit-out of government and local authority headquarters projects. MMP provide a comprehensive service to clients in the key areas of construction cost management, contract procurement, construction economics and cost consultancy. The firm utilises bespoke cost planning techniques and value management interfacing with Building Information Modelling (BIM), thus ensuring delivery of best value for money. The firm has always sought to embrace new technologies and provide its clients with the most innovative services possible. BIM helps enable clients to design, visualise, simulate and analyse the key physical and functional characteristics of a project digitally before they build it. BIM also assists with looking at options in early cost planning ‘optioneering’, while encouraging collaboration on projects among designers as well as contractors through model sharing. As useful on small projects as on large, BIM assists with whole life costs, carbon footprints and sensitivity analysis. As Cost Consultants BIM also helps MMP to deliver projects faster, with greater cost efficiency and provide our clients with maximum value for money. MMP has been a CitA member since its formation and has been communicating the potential benefits of BIM to its clients for a long time. The firm has engaged through CitA in BIM workshops and accelerated its understanding through detailed training provided by ARCDOX and Buildsoft, its BIM software provider. John Daly, Managing Director of Mulcahy McDonagh also chaired one of the BIM workshops in 2012 as part of the CitA initiative. 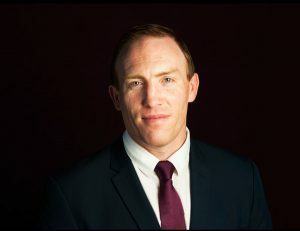 Stephen Walsh, Associate Director at Mulcahy McDonagh, is also involved with the SCSI BIM committee which has looked to educate SCS members on all things BIM. This involvement has served the company well as it’s directly involved with the education of other members. There is also a very strong awareness within the company of the potential and benefits associated with BIM. In 2010 when a lot of companies found it difficult to invest, MMP over-hauled its IT systems and brought in BT2/Cubit which provides on screen take-off including the ability to read BIM models and abstract quantities and interrogate BIM models. Cubit enables the firm to use on-screen take-off and BIM models, while also providing them with the ability to run many different options for clients so that they always have the most relevant and up-to-date information to hand to enable them to make the right investment decisions. As 5D quantity surveyors, MMP can provide real time accurate information to clients much faster than it would have taken previously. BIM enables the process of RFIs to be done in a virtual world before the project hits site. RFIs resolved this way are much less expensive on project costs than when raised on a live construction site. This helps lower the eventual project cost to the client/investor. Level 2 BIM is increasingly being specified on public and private projects as clients begin to realise the advantages it can bring, particularly post construction when the building is in operation. 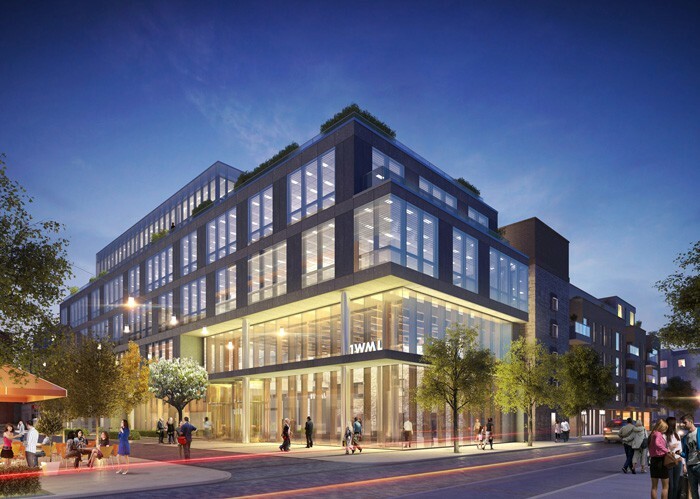 At the beginning of 2014, MMP was provided with the opportunity to work on a real BIM project in Windmill Lane with Hibernia Reit. This project has given the firm the ability to really test and drive its BIM knowledge while giving them a better understanding of what clients want at the end of the BIM process. Noting the roll out of BIM Level 2 as a mandatory requirement for public construction projects in the UK in 2016, MMP believe it is only a matter of time before similar stipulations will apply to public construction contracts in Ireland. The recent changes announced in the Public Works Contract (PWC) to promote as mandatory the Bill of Quantities as a prime contract document and the reintroduction of a form of “nominated subcontract” is expected to lead to a fully developed mechanical and electrical services design which was one of the original stated goals of GCC (Government Contracts Committee) when the PW contracts were launched in 2007. It seems logical that with greater certainty in relation to design, the next step will be a serious review of the procurement process and a consideration of the roll out for education and/or health projects of BIM at Level 2 to ensure an appropriate level of IT integrated planning from design and construction to handover and maintenance of the building. According to MMP’s construction law consultant, Gerry O’Sullivan, legal issues concerning BIM need to be addressed sooner rather than later. Gerry chaired the recent CitA smarter buildings seminar on PAS 1192-2:2013 contract protocols which took place on the 16th of September with a review of legal developments on the protocols in Ireland. Presentations were delivered by Simon Fraser (Hussey Fraser) and James Golden (Quigg Golden). Of particular interest was May Winfield’s (Kennedy Law) paper on PAS 1192-2, a set of standards that are intended to apply to BIM procedures. She set out the UK experience in the operation of BIM contract protocols and the do’s and don’ts developed from her experience on its implementation on major UK projects. Gerry welcomes the publishing of CIC (Construction Industry Council) Protocol as a supplementary legal agreement to enable the production of BIM models at all stages of the project. The intention is for the protocol to define the obligations, responsibilities and limitations between the design team and the employer and is treated as a binding addendum agreement and can be used by clients to mandate particular work practices. It is essential now that the various professional institutes including the SCSI, RIAI and EI encourage the adoption of the protocol where BIM requirements are introduced and in particular into the interaction between design team members. When the protocol is applied, the role of the Information Manager is essential as a procedural gate-keeper, policing the model to ensure it follows the protocol and the data is secure. MMP feels the QS is in a good place with both IT, construction management and legal knowledge to carry out such roles.